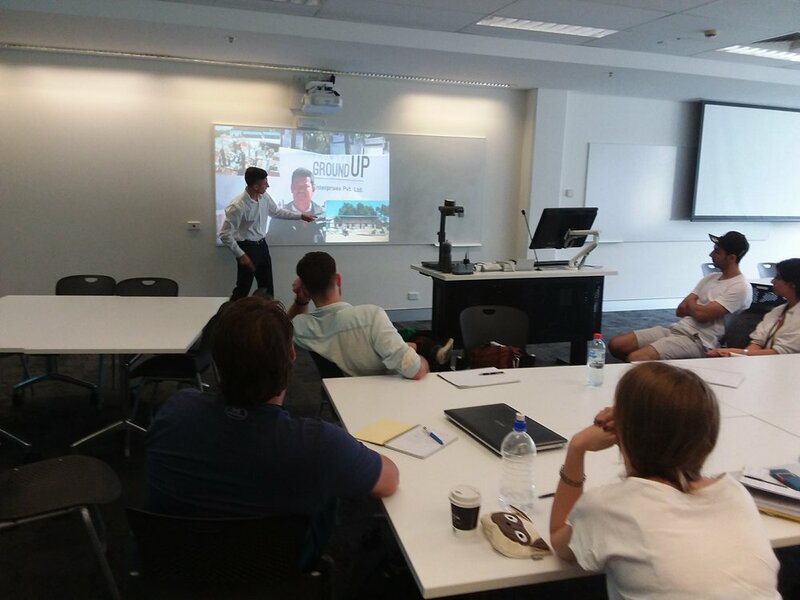 On January 22nd 2018, From the Ground Up was privileged to be featured in a Humanitarian Design Subject run at the University of Technology, Sydney in Ultimo, Sydney. 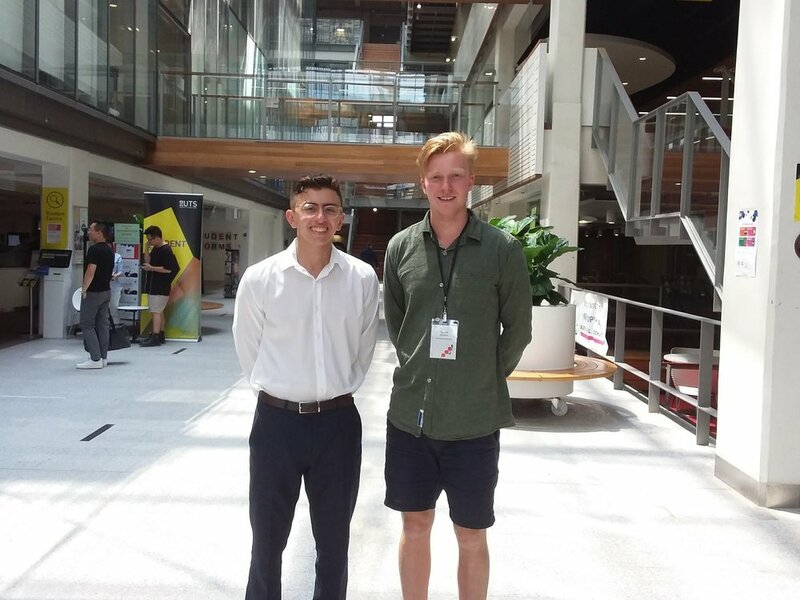 Co-Director Joseph Wehbe (left) and Partnerships Manager/Subject Champion Scott McKeon (right) at the University of Technology, Ultimo, Sydney. The Elective subject has been established in 2018 as a means of providing its students direct, real world involvement in Design Thinking and Implementation. For the purposes of FTGU, 360 Degree footage of the organisation's operations in Nepal was captured and set up for the students to observe, learn about the organisations challenges and current needs base - and will then respond intuitively on ideas and solutions relevant to project development. For FTGU, this keeps with the organisation's emphasis and reliance on "those young of mind" as the energetic driver of innovation and inspiration within the organisation. This initiative is of fantastic benefit in delivering technical support and a fresh perspective (by way of the students) to problem solving under the most difficult of circumstances. We are confident that with more initiatives like this, we can continue to work collaboratively in the fight against poverty.